As our closets get empty, our hampers get full. We all have to do laundry, yet so many of us put this simple chore off until the last possible second. Is it the act of carrying dirty clothes to the laundry room, or putting clean clothes away that makes laundry tedious? Or, do we just hate laundry because we don’t want to ruin our favorite top? A Magazine put together a guide to make laundry a word no one has to cringe at anymore. When it’s time to do laundry, remember to check the machine before putting your clothes in. If not, you may end up like Aleah Burris; she found an unfamiliar pair of underwear in her laundry after taking it out of the dryer. Remember to grab your laundry from the machines when it’s done. You don’t want to be in Angela Esposito’s position; she had angry girls come knock on her door to tell her to take her clothes out of the dryer. Esposito also learned the hard way to not put too many clothes in the dryer for everything to dry. 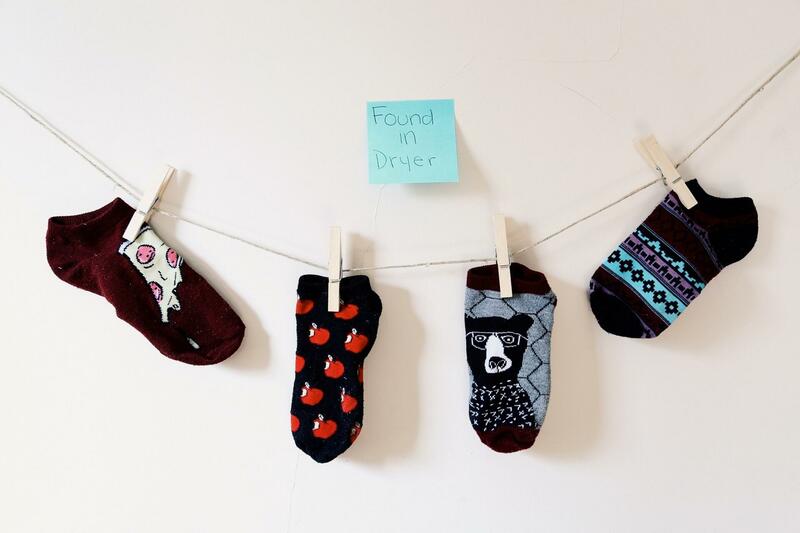 Sometimes rather than angrily knocking on someone’s door, people remove clothes from the washer or dryer. When that day comes, because it will eventually, make sure to have a drying rack ready to hang your clothes. Be patient enough to read the directions on a new machine before using it. The first time Evan Medfisch did laundry, he spent a few moments swiping his card the wrong way and couldn’t understand why the washer wouldn’t start. Lastly, remember to empty your pockets. Karen Isaacs left lipstick in her pant pockets and ended with lipstick all over her freshly dried clothes. Not every article of clothing gets one wear per wash, but you don’t want to be that person with a dirty, smelly outfit on in class. So, when is it time to wash? If you’re sweating or stain your clothes, there’s only a few excuses of why you should put that outfit back on. Yes, there are times of desperation when you run out of pants to work out in, or you’re running late and need to febreeze your socks from yesterday. However, socks, underwear, tee shirts and anything that makes direct contact with your skin should be a no-go for a re-wear. Ladies, it’s fine if your bras get two to four wears before washing, but don’t get carried away here. Just think about all of the things you do in your bra. Keep in mind that they still need washed because they collect oil, dead skin cells and sweat. Read the care label for washing instructions, and air dry them on a flat surface to avoid damage. Sports bras on the other hand should be sent to the hamper after every workout. If you like to wait until Christmas break to bring your laundry home for free service, invest in clothing that can be reworn a few times without making you feel grimy. Flannels, cardigans, hoodies, jackets and shirts worn over a tank top will all disguise how many times you actually wore them. Sweaters, button-downs and more delicate tops can also be worn two to five times before washing. You’re in luck. Jeans can go forever without being washed, according to Chip Bergh, the CEO and president of Levi’s. You probably don’t want to literally go forever without washing them, though. Depending on the cut and fit, jeans can come into contact with your skin, sweat, and don’t forget about the ground, especially on those late nights out when you actually don’t remember where your jeans have been. Try washing them after a dozen wears. Other pants like leggings and sweatpants should be washed after one to three wears, while dress pants and skirts can be washed after six. Don’t forget about your washcloths and towels, and please don’t forget about your sheets. Wash washcloths and towels after four uses (air dry to avoid bacteria), and sheets should be washed and changed about every two weeks. No one has time to make or tear apart a bed, but since we sleep every night, with exceptions, our sheets make contact with bodily fluids, sweat and skin cells. Plus, our pillowcases collect oil from our faces, which could be the reason why one side of your face keeps breaking out. If you want to avoid damaging your favorite outfits, categorizing your laundry will help. Put all darks, lights and delicates into separate categories. Remember that one run away red sock could dye your white top pink. Try saving clothes with more intense washing instructions for special occasions. Having a special basket for them can help you from dealing with their laundering until you absolutely have to. At the end of the day, if you straight up still can’t hear the word laundry without cringing, spend the extra money on a dry cleaner or specialist who can worry about it for you. My name is Julie Riedel. I am a senior magazine journalism major with minors in fashion media and business. I’m also a certified yoga instructor. I’m interested in fashion, beauty, lifestyle, organization, and health. Hopefully I can share those passions with the readers of A and in my professional career. I think I’m pretty boring but some off my hobbies include running, reading, collecting unread magazines, yoga and listening to music.